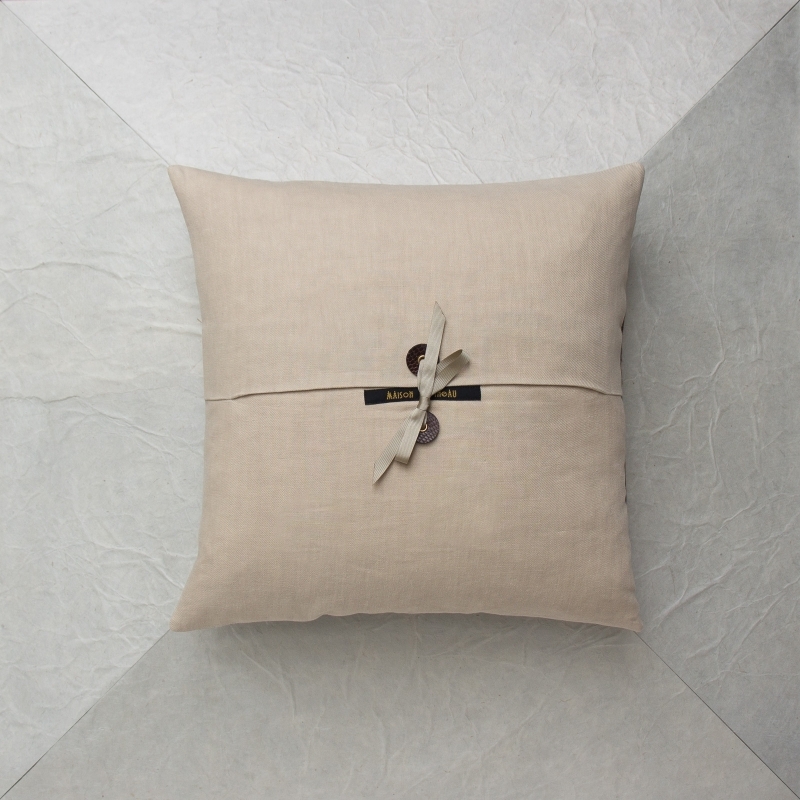 A very comfortable cushion with a falsely rough air that will make a statement in any cozy interior. Grizzly is a sensual designer cushion with colors that blend subtle shades of brown and beige, with materials that are delicate to the touch. Woodland shades from faraway countries. 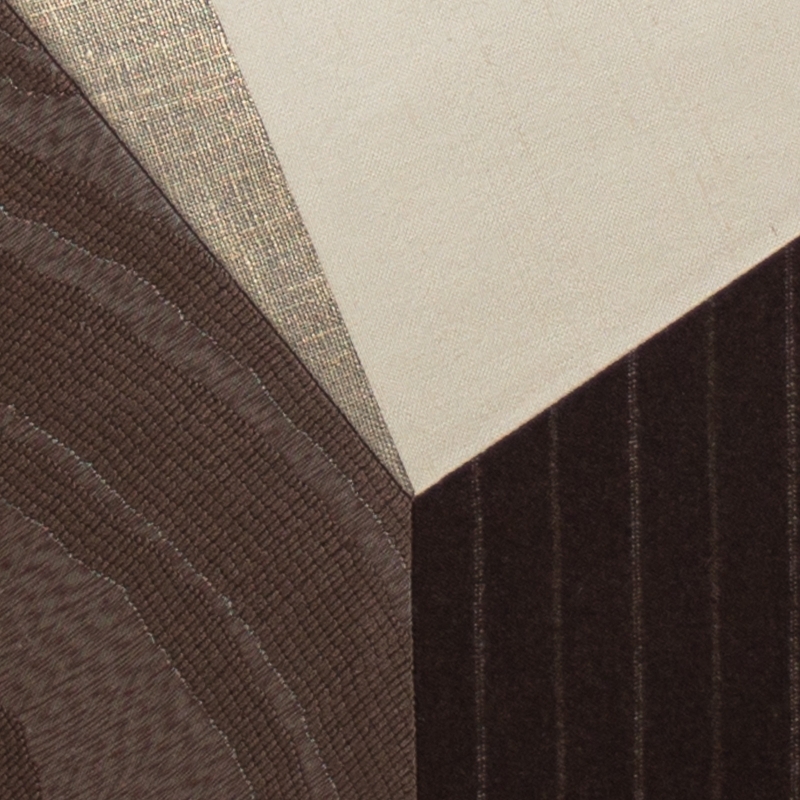 The front stands out with walnut flannel and thin ivory tennis stripes, chocolate damask and polyester, ivory silk shantung and gold coated linen canvas. 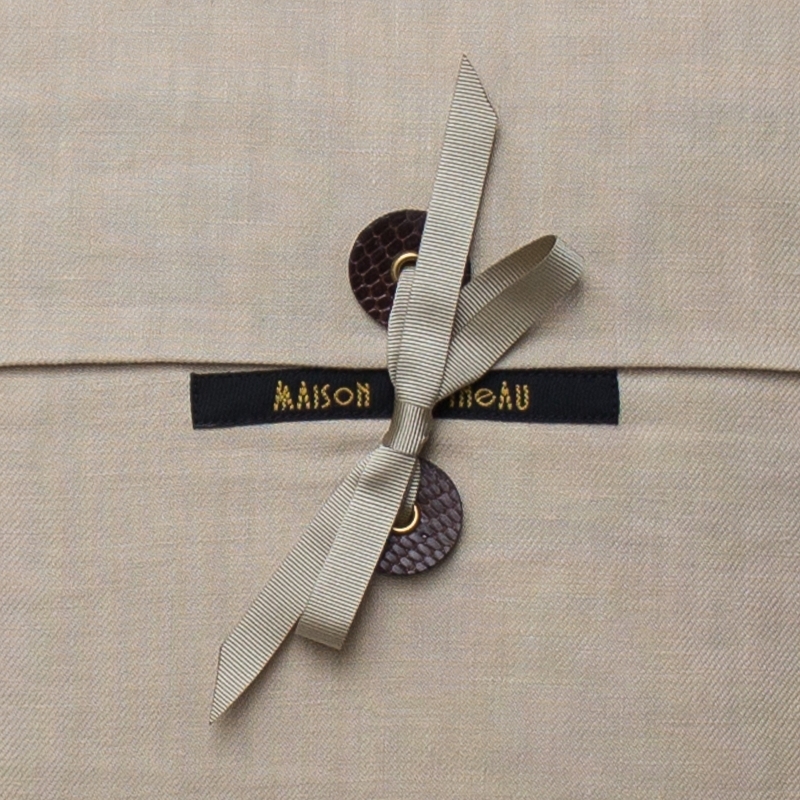 On the back, sand linen twill and the Maison Popineau signature: 2 chocolate lizard leather tabs with golden grommets and sand grosgrain ribbon.